Lars is Professor of Innovation, Entrepreneurship and Strategy at Dept. of Management, BSS, AU. He serves also as Deputy Head at the department. Moreover, Lars is the Head of Research and Talent at the Department. This job includes both recruiting and leading the department’s PhD program as well as developing the department’s research strategy. Lars supervises PhD students. He teaches MBA courses on technology management, strategy, and sustainability, PhD and Master courses on innovation, organization, digital transformation as well as on theory development and use. Lars has published his work in international peer-reviewed journal such as: Academy of Management Journal, Organizational Science, Strategic Management Journal, Journal of Product Innovation Management, European Management Review, Entrepreneurship, Theory and Practice, Advances in Strategic Management, Research Policy, Research in the Sociology of Organizations, and Construction Management and Economics. He has also published a number of book chapters and presents his work regularly at international conferences. Lars was awarded his PhD from Department of Innovation and Organizational Economics at Copenhagen Business School, Denmark based on his thesis entitled: “Open Innovation Business Models”. Lars is Associate Editor for the journal: Innovation, Organization & Management. Lars undertakes consultancy activities for various firms in Europe. Lars specializes in: 1) the management of innovation and technology, and 2) entrepreneurship and 3) digital transformation. He explores mechanisms, events and performance in instances where processes of innovation and entrepreneurship are distributed among individuals in projects, teams, organizations and communities. 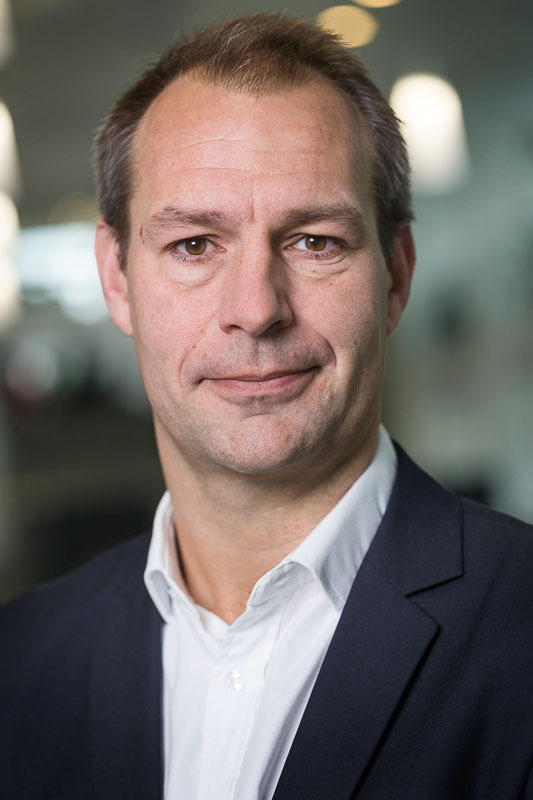 Lars is engaged in three parallel but converging streams of research: First, he studies how and why individuals generate ideas, formulate and solve problems, and collaborate to modify and develop new products and services in networks and communities. He also investigates the accompanying process of how firms gain access to and productively employ this external source of knowledge. Methods of text mining and machine learning are employed in these activities. Second, Lars investigates how individuals together create and discover opportunities, mobilize resources and venture into entrepreneurship. He is interested in processes of entry into entrepreneurship as well as the survival and growth over time of the newly founded firms. In particular, Lars focuses on team-based entrepreneurship, labor mobility and entrepreneurship, the role of boards in start-up firms and the aspect of emotions in fostering entrepreneurship. Third, Lars examines innovation in project-based organizations. This research seeks to improve our understanding of how capabilities and new business models emerge and evolve to create and capture value. This research stream is oriented towards digital transformations in design, development and delivery of infrastructure, for example, in sectors like: energy, roads, water, and sustainable urban design.